By joining us at the Shake It Off 5K Run/Walk and 1 Mile Community Walk, you’re helping to close the gap on a cure for Parkinson’s disease. Runners and walkers of any experience level or speed are all welcome! Questions? Contact cherryl@shakeitoff5k.com or jimmy@shakeitoff5k.com. course mapping, race timing and more! Before March 1: Registration for each participant is $35 and all participants are encouraged to raise additional funds to help speed a cure! On/After March 1: Registration increases to $40. All Onsite 5K Run/Walk Participants will receive an official Shake It Off 5K finisher medal and an official Shake It Off 5K shirt. Before March 1: Registration for each participant is $25 and all participants are encouraged to raise additional funds to help speed a cure! On/After March 1: Registration increases to $30. All 1 Mile Walk Participants will receive an an official Shake It Off 5K shirt. Before March 1: Registration for each participant is $40 (shipping included) and all participants are encouraged to raise additional funds to help speed a cure! On/After March 1: Registration increases to $45. Finisher medals are not guaranteed for later registrations and will be subject to availability. All Virtual Participants will receive an official Shake It Off 5K finisher medal and an official Shake It Off 5K shirt. While we will make every effort to ensure you receive your event materials prior to race day please allow for delays in receiving your items. People of all abilities will be able to participate in our "ninja style" obstacle course! For a $10 donation, participants can run the obstacle course designed with all fitness levels in mind including the famed warped wall. Can you beat that wall?? Registered 5K participants will have one (1) run at the course included by showing their bib. Course is open from 9:30 to 11:30 a.m. on race day. Can't Run But Want to Help? Donate to win awesome raffle prizes! Every $20 donation earns you 5 entries to win fantastic prizes. Want to earn some Shake It Off 5K swag? All you have to do is raise at least $100* by 3/31 and the swag will be yours! *Total must appear on individual fundraising pages. Kids Dash Start time: 9:45 a.m. Obstacle Course Open: 9:30 to 11:30 a.m. Awards for top 3 overall (male/female) 5K finishers within age group and top 3 5K finishers (male/female). 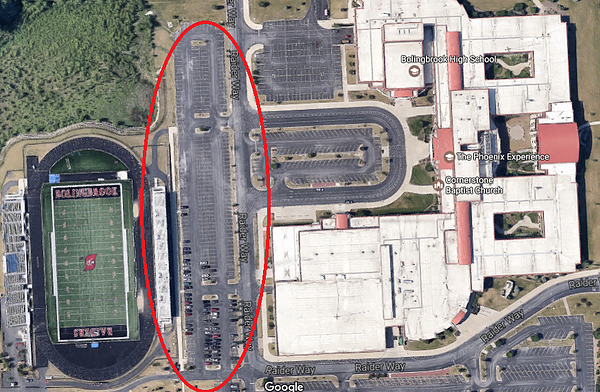 Please use the main stadium lot adjacent to the football stadium. Looking to get involved with the 2019 Shake it Off 5K as a sponsor? Or looking to form a corporate team? Contact the race director for more information at cherryl@shakeitoff5k.com.